Known for their beautiful singing voices and aggressive nesting behavior, House Wrens are anything but ordinary once you know them. House Wrens are plain-looking brown songbirds that are only 4-5 inches long and weigh less than half an ounce. House Wrens are found across the United States, and nest in old woodpecker cavities, birdhouses or even on signage outside of a store. Unlike many birds, the male House Wren builds most of the nest. He actually builds several to attract a female, and then she finishes the nest she selects. House Wrens prefer an organic diet made up almost entirely of insects. 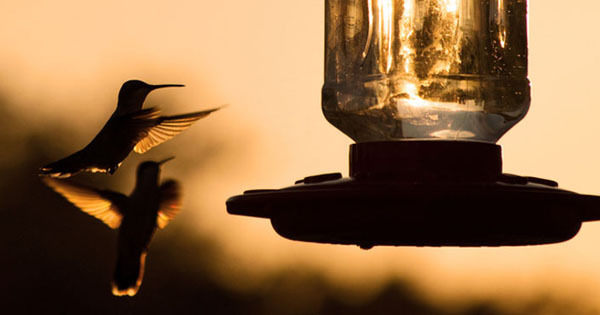 You'll rarely see them at bird feeders. If you've ever felt like a Plain Jane, then you can probably relate to the House Wren. Its beautiful song comes pouring out of this common brown bird, often surprising people who do not expect such a big voice from a tiny bird. 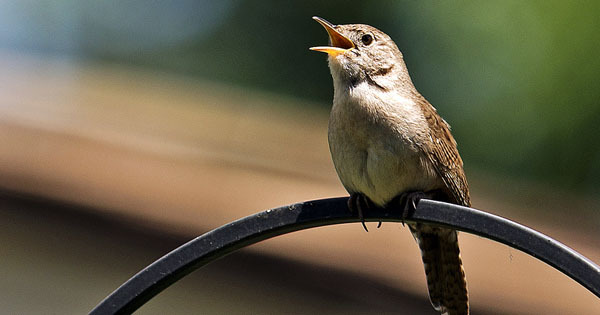 House Wrens are best known for their brilliant and often loud singing voices which tend to be described as "bubbly". They are relatively friendly, and House Wrens will build nests near people as long as they are not bothered too frequently. Like most wrens, House Wrens have a beak that curves slightly and an amazing voice. These outgoing and vocal birds will flit among the bushes in a yard, but rarely land on the ground for very long. Instead, look for House Wrens in trees or shrubs where they are often found searching for food. If you want to attract House Wrens, add a few bird houses to your yard. 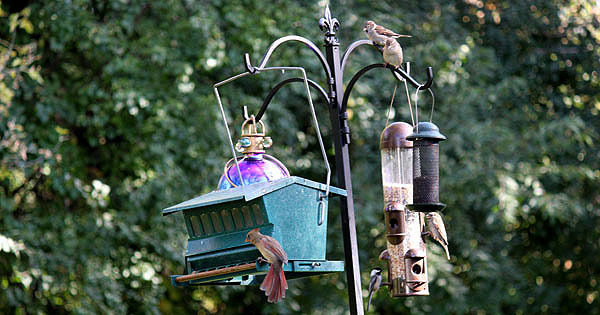 These insect-eaters are usually not tempted by bird feeders so save those for birds who will enjoy them. House Wrens tend to nest in any cavity they can find, including outdoor signage on malls and birdhouses that were put up for other birds. 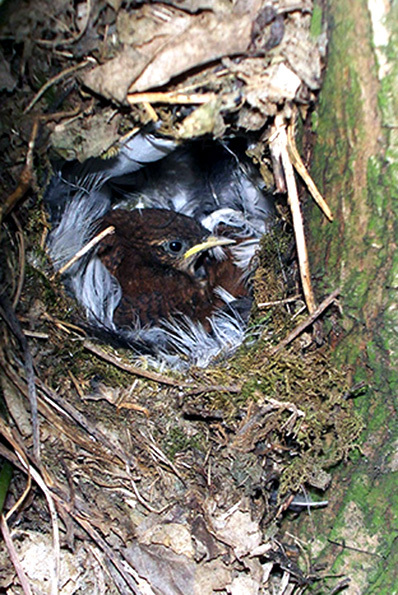 The ideal home for House Wrens would be an old woodpecker hole, but these birds are not picky and they will chase other birds away from nesting sites that they want. Whether they are nesting in an unused watering can or a bird feeder you neglected to fill, once these birds have identified a nesting location, watch out. These tiny birds can be aggressive, even towards much larger birds. It's not uncommon for House Wrens to actually scare birds off after nests have already been built. It's hard to believe these tiny little songbirds have such a big bite! Although they will "lecture" humans that get too close to the nest, House Wrens don’t tend to be overly aggressive towards people and are often found on a backyard fence or splashing in a puddle nearby. House Wrens start breeding in early Spring. Once he has established a territory, the male House Wren is very territorial and will aggressively defend it against other birds. House Wrens are at home in wooded areas, parks or even your back yard. They are simply looking for a place to eat and begin making a nest. The male House Wren will build nests in cavities or nest boxes (or wherever else he feels like) to attract a female. Because of their small size, House Wrens don't need a lot of room in which to make a nest. The nest is made up of dried twigs, grass and other vegetation. When a female and male House Wren pair up, the female chooses a nest and helps finish it with her mate. When the nest is to her satisfaction, the female House Wren will lay an average of 5-8 tiny eggs which she incubates for up to two weeks. A little over two weeks after they hatch, the fledglings will leave the nest. House Wrens will usually attempt to have a second brood each year. House Wrens seem to have more trouble with mites than some other birds, so it’s OK to clean out the bird house once the first nestlings have moved on. A clean bird house helps keep mite infestations down. House Wrens eat a diet that is made up almost entirely of insects. From small flies to spiders and caterpillars, House Wrens are not terribly picky about what they eat - as long as it's a bug or insect. These tiny, vocal birds are a wonderful addition to a yard (as long as you aren’t a timid little bluebird who wants to nest in the same area). The songs these birds enthusiastically sing during mating season will fill your yard with music for weeks at a time. If you are able to watch and learn about House Wrens, it will be a fun experience.